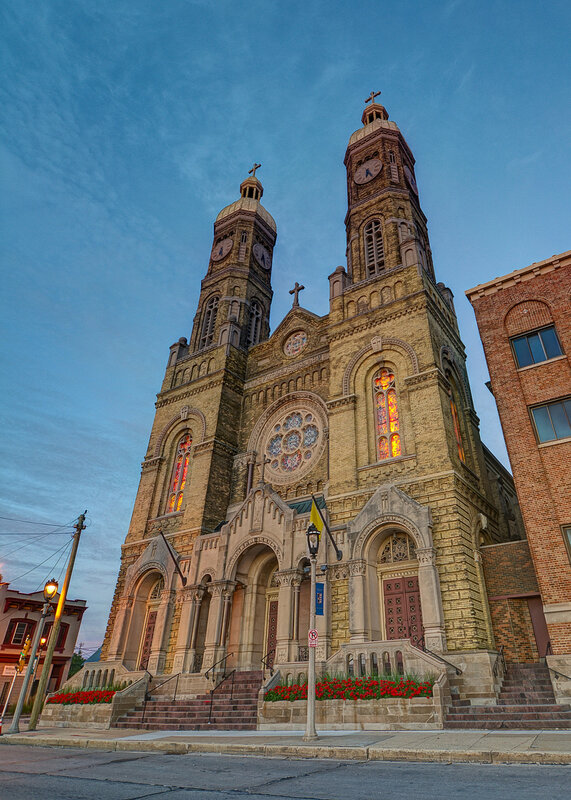 Founded in 1866 as the first Polish parish in Milwaukee (and, perhaps, the first urban Polish church in the United States), St. Stanislaus, Bishop and Martyr served as “the mother church for more than twenty Polish parishes” across the area. A towering, twin-spire church topped by golden domes arose at 5th and Mitchell Street in 1872-73, providing an enduring visual landmark for this South Side neighborhood. The parish’s high school, established in the midst of the Great Depression and years later renamed Notre Dame High, became during the 1960s the archdiocese’s “first co-institutional school (with separate but equal facilities for girls and boys).” As the ethnic composition of the surrounding neighborhood changed over the decades, the size of the congregation diminished, with both the grade school and high school closing in the 1980s. However, this parish has had a rebirth since 2007 when it began to offer a traditional Latin Mass on Sundays. Extensive renovations of the church’s exterior and interior structures have been ongoing in recent years. ^ John Gurda, “The Church and the Neighborhood,” in Milwaukee Catholicism, edited by Steven M. Avella (Milwaukee: Knights of Columbus, 1991), 9; Donald Pienkos, “Polish Catholics in Milwaukee: An Update,” Milwaukee Catholicism, edited by Steven M. Avella (Milwaukee: Knights of Columbus, 1991), 91, 95-96; Steven M. Avella, In the Richness of the Earth (Milwaukee: Marquette University Press, 2002), 211, 228, 460. ^ Steven M. Avella, Confidence and Crisis (Milwaukee: Marquette University Press, 2014), 163; Avella, In the Richness of the Earth, 460. 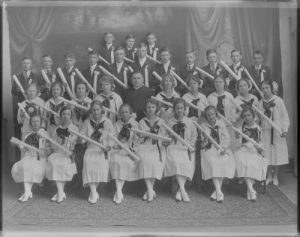 ^Avella, Confidence and Crisis, 253; Pienkos, “Polish Catholics in Milwaukee,” 91; St. Stanislaus Oratory website, accessed July 26, 2018; “St. Stanislaus Church: The Restoration,” YouTube, accessed July 26, 2018. Steven M. Avella. In the Richness of the Earth. Milwaukee: Marquette University Press, 2002. Steven M. Avella. Milwaukee Catholicism. Milwaukee: Knights of Columbus, 1991.